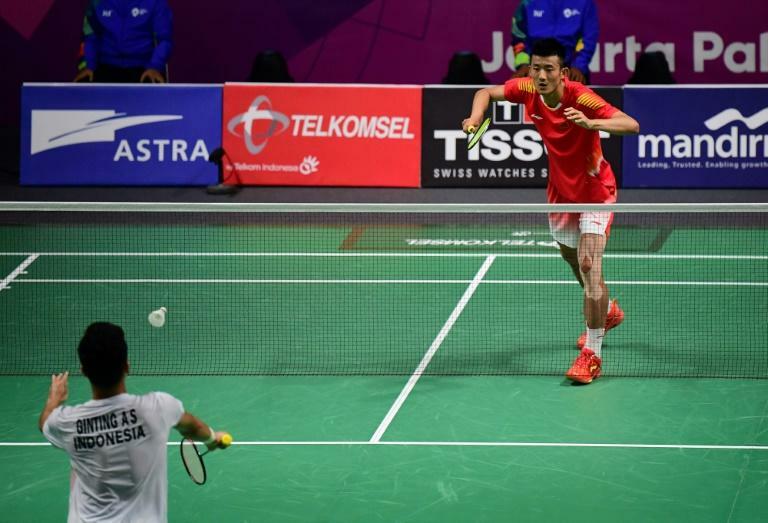 Badminton Asia president Anton Subowo denies China are in crisis after their shuttlers missed out on a singles medal at the Asian Games for the first time in 38 years. Top-seeded Chinese Shi Yuqi crashed out in the opening round in Jakarta to Indonesian gold winner Jonatan Christie, while another local favourite Anthony Sinisuka Ginting took down Olympic champion Chen Long in the quarter-finals. The Badminton Asia chief told AFP in an interview that China's dominance of the sport will continue because of their ability to churn out young and talented players regularly. "They are still the best. Chinese will always have enough players in the pool to bring them up and make them world champions," said Subowo, who is from Indonesia, and is also vice-president of the Badminton World Federation (BWF). "It was just unlucky that they did not have a good day in this Asian Games. Otherwise they are pretty good. Chen Long, Shi Yuqi are top players," he added. Subowo played down comments by China's singles coach Xia Yuze, who called the Jakarta badminton arena a "devil's home" due to the drift coming from the air conditioners. Subowo said the breeze that the Chinese are talking about is "not unusual" to badminton courts around the world and top players know how to handle it. He was also impressed with the new breed of Indonesia giant-killers who took the Asian Games by storm. While Subowo said that the country may never see another Taufik Hidayat -- the Indonesian legend who captured world and Olympic gold -- players like the Ginting demonstrate that the future was bright. The 21-year-old Ginting settled for a bronze after his dream run ended in the semi-finals, to give Indonesia two singles medals for the first time since the 2002 Asian Games. "I hope this Asian Games can be the stepping stone for the men's players to move forward to higher competitions and improve their ranking," said Subowo. "I was very happy with Ginting and Jonatan, those were the highlights for me. "Jonatan beat Shi Yuqi and that was a big surprise and then Ginting beat Chen Long and that was another surprise -- so this is a breakthrough for Indonesia." Subowo has bold plans to expand the global reach of badminton. "In September for the first time we are having the Arab league championship and also in Lebanon we have West Asia championship," he said. "We have also spoken to (Pullela) Gopichand -- the India coach -- to help us develop this new training centre in his Hyderabad academy to help West Asian players practise and help the development programme." Subowo believes the popular franchise-based leagues in India and China will help attract young talent and bring in more money for badminton players. "Premier Badminton League in India league has become popular. We have the China league and the Indonesian league," he noted. "All these leagues will help players earn more because end of the day it is their sweat, their effort."